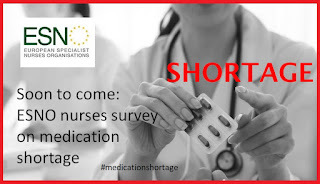 - Lastly, we might analyse how shortages can be prevented or mitigated. Have you successfully made the case for change in heart failure? Have you been involved in advocating for, and implementing, multidisciplinary or integrated heart failure care? 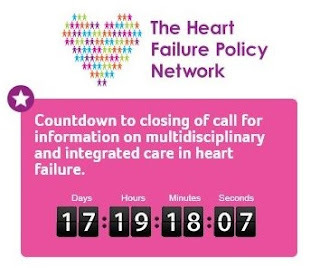 If so, the Heart Failure Policy Network wants to hear from you. The Network is running a call for information to better understand how successful care programmes are implemented and what lessons can be learned and applied across Europe. With your input, we aim to uncover new learning and generate public resources to help others plan and deliver the best possible care for heart failure patients. ESNO, the Specialist Nurses in Europe, as part of the Steering group, supports the EU Fighting Flu campaign, and kickstarts today. We encourages all nurses to support this campaign, sign the Manifesto today and share. Spearheaded by the Steering Group on Influenza Vaccination and its Co-Chairs - MEP Françoise Grossetête and Prof Thomas Szucs, this group has one main aim: To reduce the burden of influenza across Europe. We are calling for urgent and unified action to help protect people from influenza and we need your support to spread the word! Read and sign-up to our Manifesto. Share this in your network.